1. I’ve never been the biggest fan of Halloween but I am a fan of candy. The girls came back from trick or treating and immediately offered me a Reese’s Peanut Butter Cup which just goes to show that I’ve raised them spectacularly well so far. 2. It took me four tries to type “spectacularly”. 3. I didn’t get any photographs of my kids on Halloween in their costumes. They went trick-or-treating with their dad and it sounds like the girls had a blast. I admit, it’s weird not having a picture of them all dressed up, but, that’s what happens sometimes. I’m just glad they had a good time. 4. With the cold and the rain, yesterday was the first day of the season where I got to see the Raynauds make its reappearance. When I’m really cold, my fingertips turn white. It’s pretty weird. The below picture was taken last year. This is probably a good reminder that I need to buy warmer gloves and… start wearing them. 5. And with Halloween it reminds me that I’ve been blogging for about seven years. I chose the names Pumpkin and The Princess for the girls when I started blogging because that was what they were for Halloween that year – Pumpkin was just three months old then, The Princess was three. On Twitter, I refer to them by their ages, which makes more sense, but here they’ve always been Pumpkin and Princess. 6. Okay, as always…late to the party. I don’t tend to watch a lot of television habitually. I used to – now, I can’t even really muster the attention span for Project Runway (I still think moving it from Bravo to Lifetime was a mistake). But, I’m midway through season two of Arrested Development on Netflix. It’s funny. I guess most of y’all knew that awhile ago. 7. I am skeptical of rooms painted red. 8. 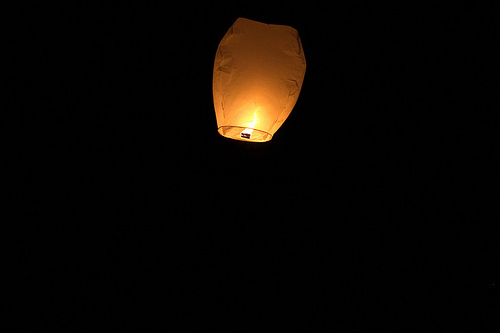 Last week I photographed my cousin’s rehearsal dinner and lantern ceremony. That was one terrifying lantern ceremony, as so many of them didn’t actually rise, but instead beelined for the lawn and caught fire. Some of the flew though. Thank goodness. If they all crashed and burned, that would have been a pretty dismal party, right? 9. November. Holy hell, how is it November already? Another thing we have in common …. 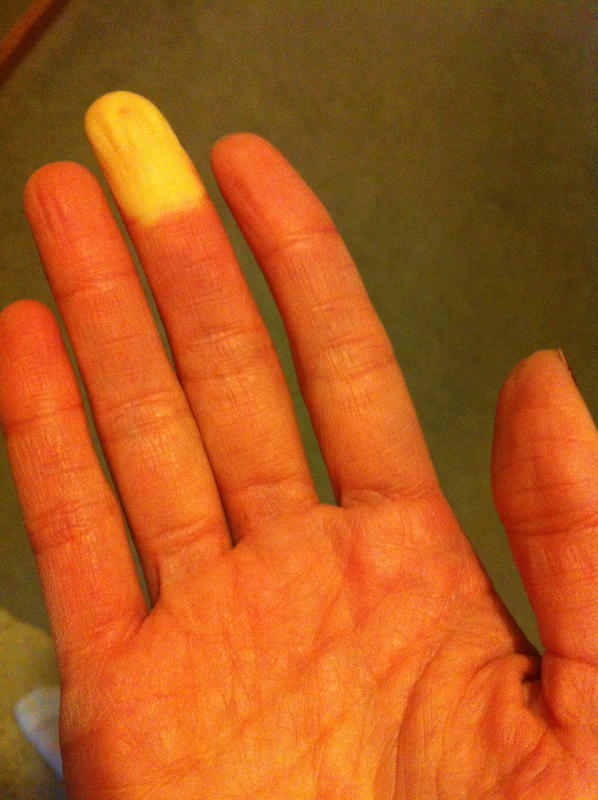 I have raynaud’s too!